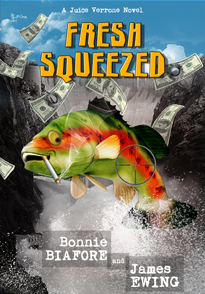 James Ewing, together with Bonnie Biafore, is the author of Fresh Squeezed (2012) - a crime comedy set along the banks of the Columbia River. "Biafore and Ewing don't disappoint", comments one reader, "churning out character after character who truly are 'characters'. Combine dimwitted thieves stealing flash drives of school plays with small town politics and throw in some mob players and you have a 21st century Mayberry mystery." 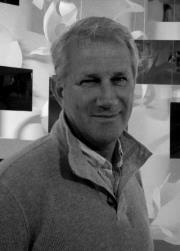 Drawing on his sailing adventures, Ewing has also published several humorous articles in Latitudes & Attitudes magazine. In addition, he writes a weekly blog loosely based on the proposition that life is really much more absurd than we know. Ewing currently lives isolated on an island (take a wild guess which one) because - as he puts it - it’s really better for everyone that way. For more information on this author go to http://www.jamesewing.com/.